Feet spinning on pedals, a map clenched in my hand, I swerved around a pothole then tucked where the road slopped down. 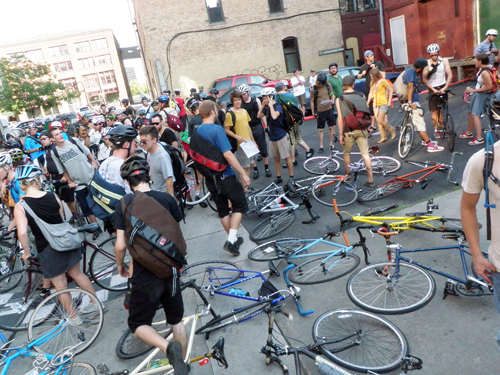 It was 30 minutes into the All City Championship Alleycat race, an annual underground competition in Minneapolis that pits urban riders against a course made to mimic the route of a bike messenger on an average day in a city. 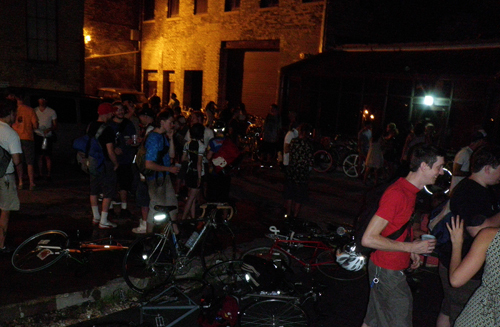 Indeed, an alleycat race may take riders to a dozen or more addresses around an urban area — miles and miles of two-wheel travel among traffic, through stoplights, into glittering downtowns, out to industrial outskirts, and back again. 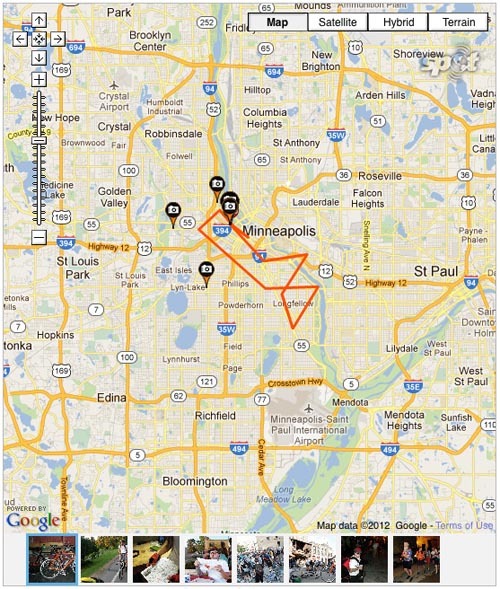 Alleycat racing combines three things I love — urban riding, bike racing, and navigation with a map. 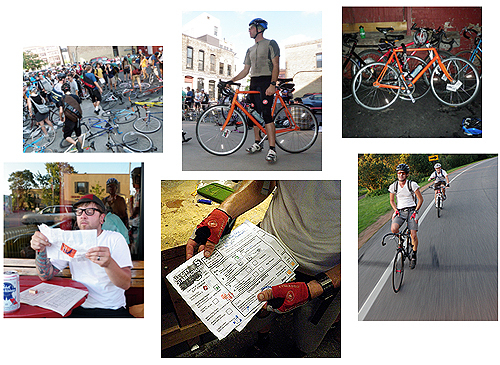 The resulting game, which includes manned checkpoints where you get a passport stamped as well as landmarks where you write in the answer to a clue, is an elaborate feat of athletic ability, urban riding, and route strategy as you crisscross a city. At the All City Alleycat this year, held in late August, I rode with two friends, one on a fixed-gear singlespeed, the other on a mountain bike. 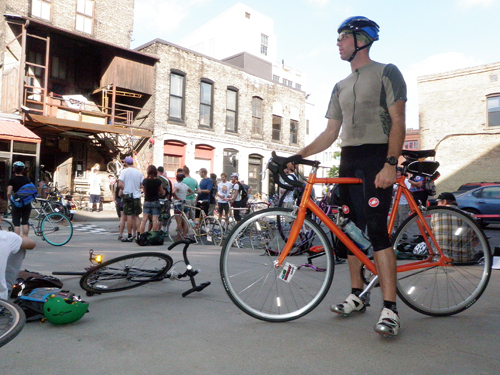 We mapped a rough route to complete the course before the race organizer shouted “Go!” The race pack, including more than 200 riders, lined up and then ran to their bikes stashed in an alley behind Minneapolis’ One on One bike shop at the start. I clipped in and yelled for my race partners, elbowing out of the pack to get onto a street. 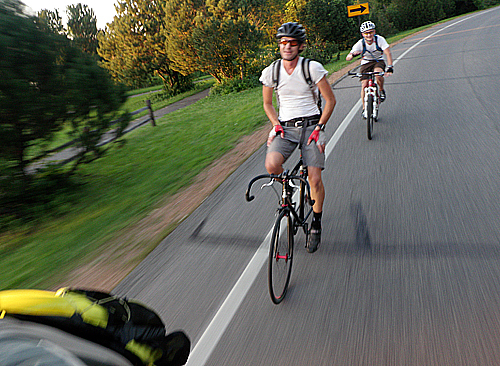 For nearly three hours we rode, spinning fast through downtown Minneapolis and toward the outskirts of town. The first checkpoint, at a water tower east of the city, required a dismount and a run up two sets of stairs. On top, a race volunteer waited sipping a beer. He punched an ink stamp on our manifest card, proving we’d been there. It was downhill from checkpoint No. 1 toward the Mississippi River. Across the Franklin Ave. bridge, drifting west into neighborhoods on a thoroughfare heavy with cars. A turn onto a side street. A checkpoint at a bar. Then click back in and ride out toward a new point across the town. By the end, we’d traversed the city and ticked off more than 30 miles on crowded roads. 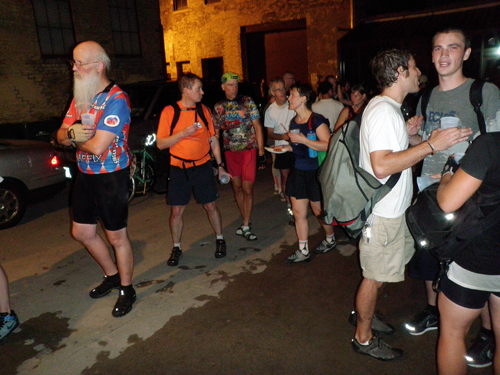 A dozen checkpoints — from city parks to warehouse storage rooms — had been included on the route. 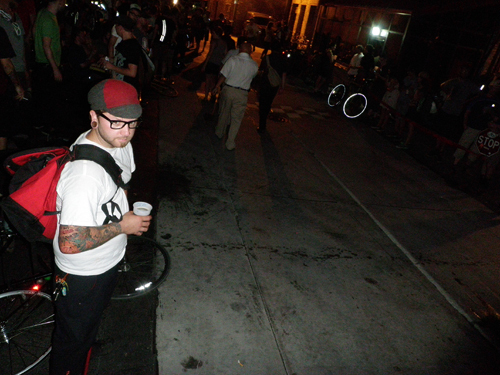 We drifted into an alleyway back in downtown and to the finish of the race. The result. . . 28th place out of an immense field of urban riders! Not bad. Handshakes and high fives. The music turned on. Kegs were being rolled in and stacked against a brick wall in the alley. Bikers streamed in from the night. The party was just then at its start.